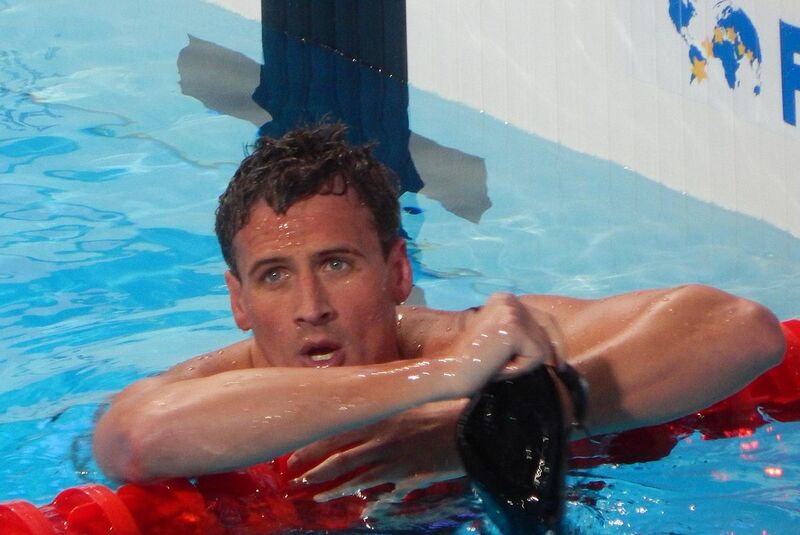 Ryan Lochte has pulled out of the Los Angeles Invitational – where he was due to make his return following the 10-month ban he received for his part in an incident at a petrol station during the Rio 2016 Olympic Games. The American was set to feature in the pool on home soil at the USA Swimming-sanctioned competition. He was reportedly going to compete in the 50 meters and 100m freestyle and 200m individual medley events at the University of Southern California. However, prior to the preliminary rounds earlier today, Lochte withdrew from the event, citing the lack of preparation before the event due to the birth of his son. “I’m scratching from the meet this weekend because I have not been able to train the way I feel I need to train because of Caiden being born,” he said in a statement given to FloSwimming. “My family, Kayla, and Caiden is my first priority and my goal is to be at an elite level by the Pan Pacific Swimming Championships next year. As of July 1, the 32-year-old six-times Olympic swimming gold medalist was clear to return to international competition after seeing out the ban imposed by the US Olympic Committee and USA Swimming. It followed an incident he caused in Rio de Janeiro after making up the story that he and team-mates Jimmy Feigen, Gunnar Bentz and Jack Conger had been held up and robbed by men posing as police. It soon emerged that the group had been obliged by an armed security guard to pay for damage caused to a petrol station after a drunken night of celebration. The scandal caused great offense in Brazil and embarrassment in the US. Lochte was effectively barred from this month’s World Aquatics Championships in Budapest as he was still suspended when the US Trials took place. Lochte’s full punishment also included the loss of USA Swimming support during the ban, and he was required to fulfill 20 hours of community service. He was also prevented from attending the White House visit made by the US Olympic team post-Rio 2016. But Lochte has nevertheless been busy during his enforced break, taking part in the TV show “Dancing with the Stars” and competing at the US Masters Nationals.